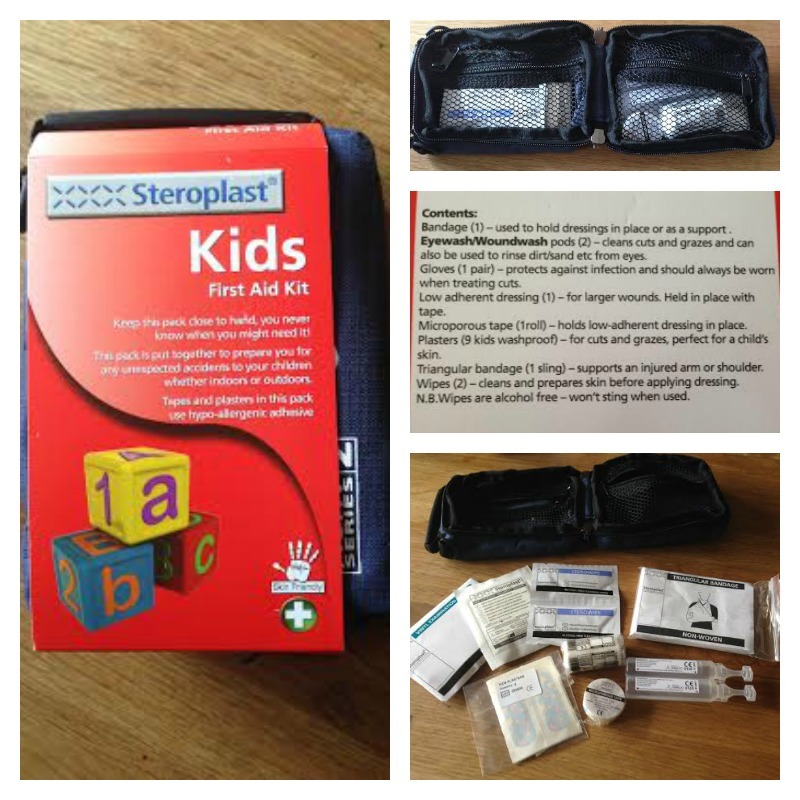 When we were asked to review the Steroplast Kids’ First Aid Kit, I decided it was probably a good idea as, with four children, there’s always a need for things like that. And it wasn’t long before the little ones found an opportunity to use it. 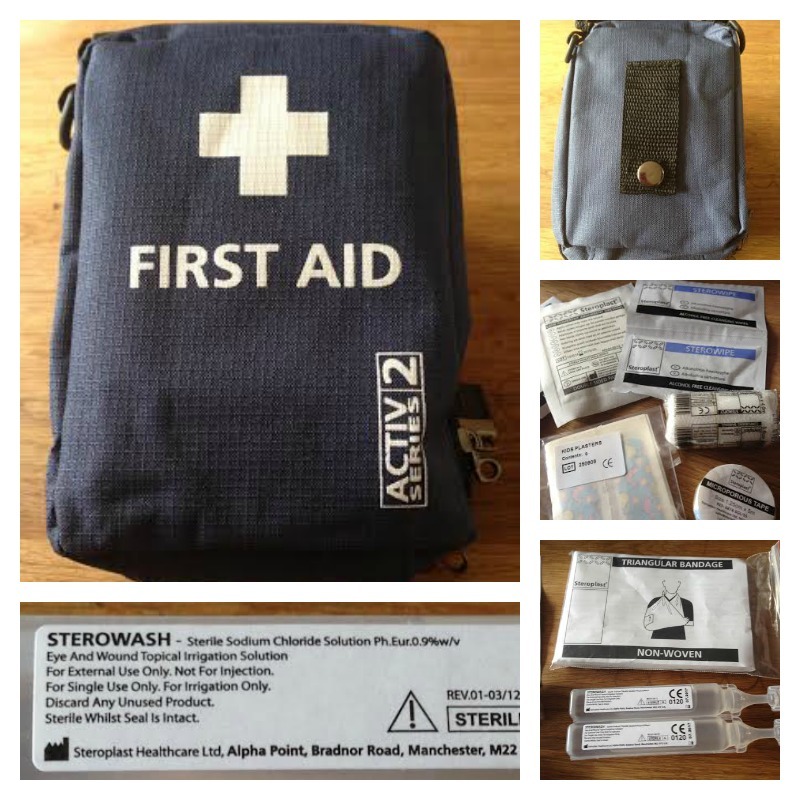 The kit is a convenient size for taking out and about in the car, in a change bag or even in a large handbag. It also has a belt clip on the back if you are not the handbag type. It’s a fairly reasonable list, though I’d add some antiseptic cream, and some safety pins for the bandages. Everything is clearly labelled, albeit in very small print. I had to take a photo of the Sterowash label and zoom in to read it as even with my glasses on I couldn’t make it out at all! 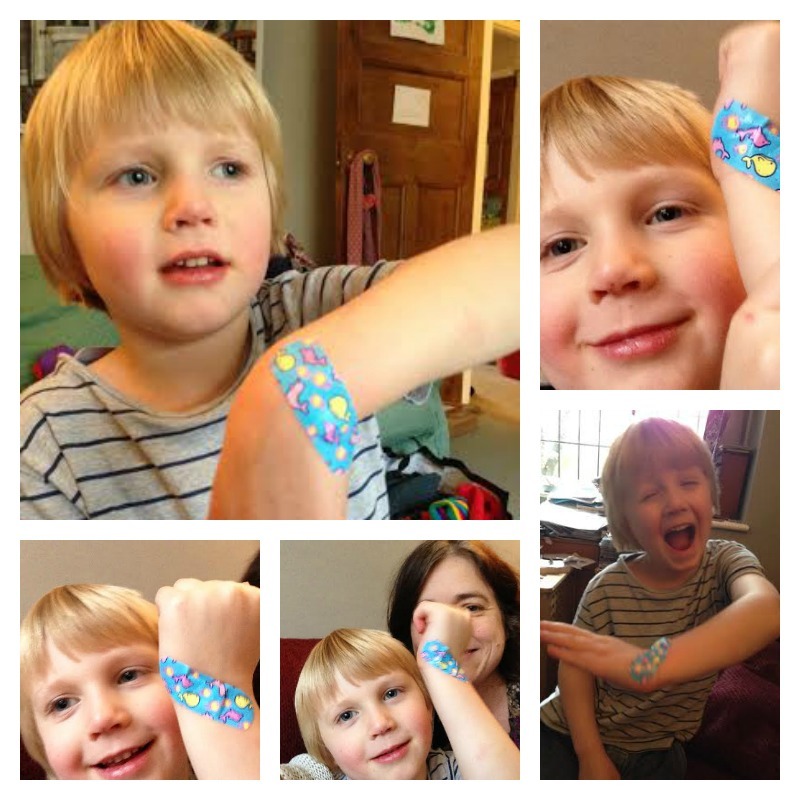 Rabbit and Tiddler loved the kids’ plasters and immediately found some microscopic scratches to try them out on. The kit costs £4.60 and I think that is good value compared to similar products I have used before. 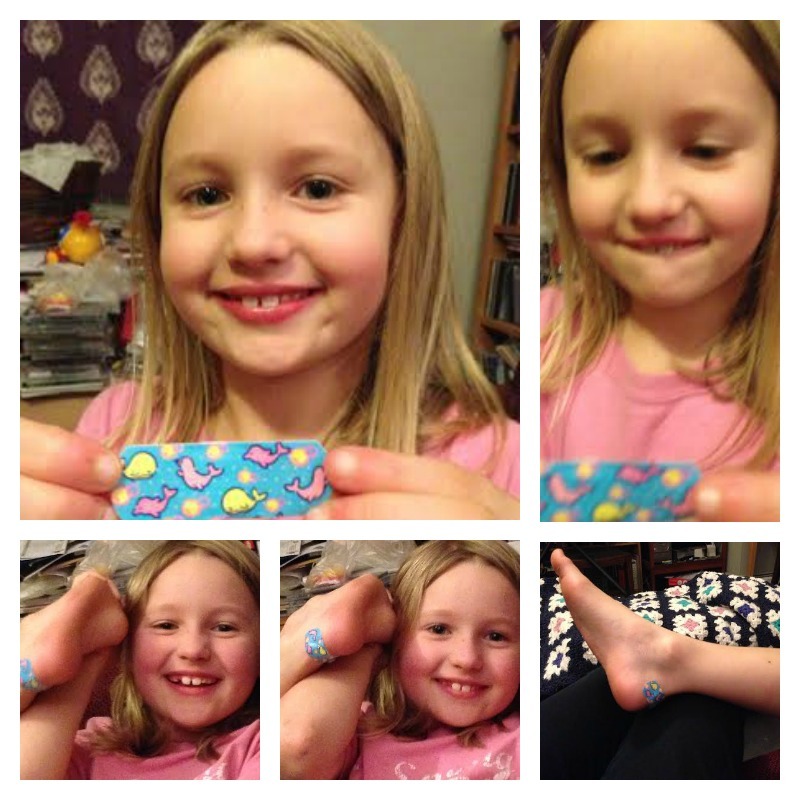 We were sent the kit free of charge for the purpose of this review. This entry was posted in Health on November 13, 2014 by Hannah. 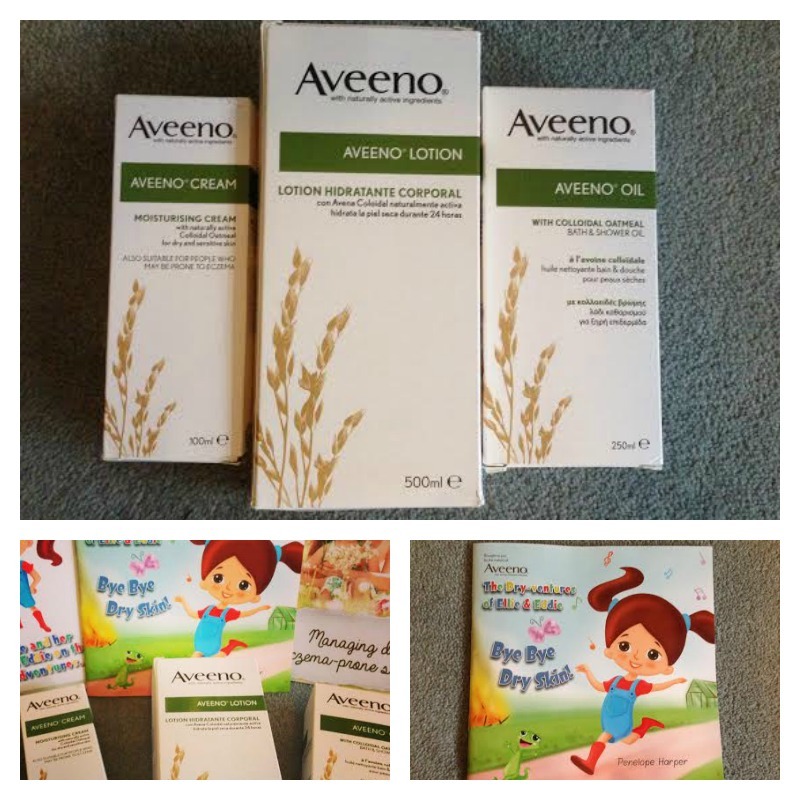 I was very happy to receive this parcel of goodies from Aveeno because I’m already a big fan of their products. I discovered them in an earlier pregnancy when I had dry skin, and they are now a pregnancy essential for me. They are also suitable for children because all the products are unfragranced and very mild. I might consider sharing them with my children, but I think I won’t let them get their hands on them straight away! The bath oil and the lotion are ideal for every day use whatever your skin type, and the cream is particularly good for dealing with dry skin. The products are also perfect for those who may be prone to eczema, and this is the focus of Aveeno’s new campaign. They have teamed up with acclaimed children’s author Penelope Harper to create a series of books following the adventures of Ellie (a little girl) and Eddie (a gecko) who both have dry skin. It’s available as an eBook and can be downloaded here. I was a little unsure about the idea of reviewing this book when it was discussed at Britmums Live in June. I think it’s pretty hard to write an interesting children’s story on the subject of dry skin, but the author has done a reasonable job. It’s a simple story, and though it’s not very exciting it reads quite well, and both Rabbit and Tiddler enjoyed it. At the end of the book, there’s a colouring page which Rabbit had fun doing. I would recommend the book for children who have eczema, especially if they are reluctant to have cream put on when their skin is dry and painful. The products are so versatile that I would recommend them for anyone. 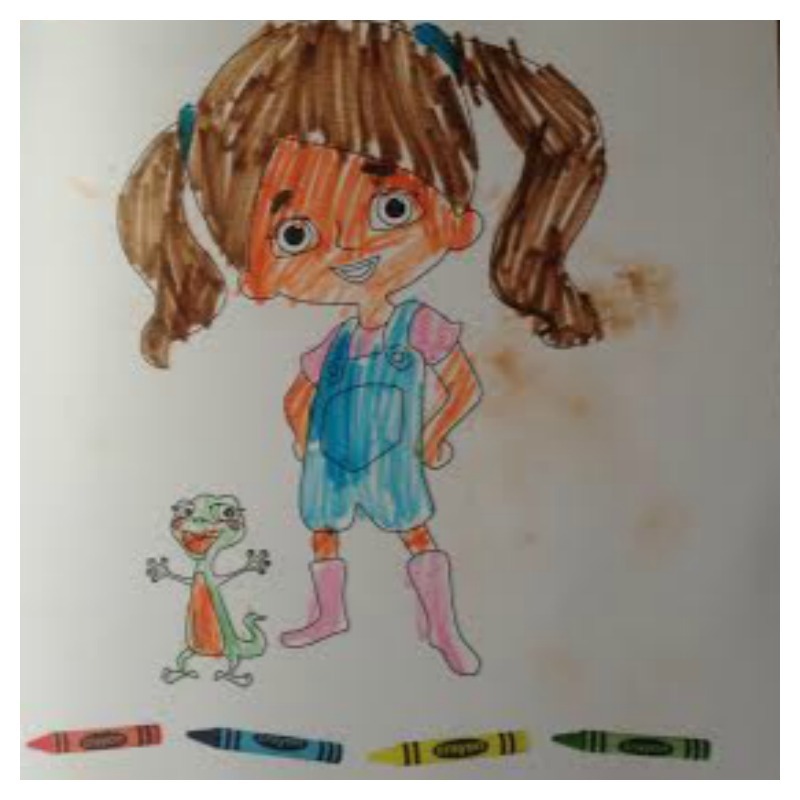 This entry was posted in Children's books, Health on October 30, 2014 by Hannah. Well, I did it. The 30 day shred every day in October, including one for luck yesterday! So, these are my before and after photos. 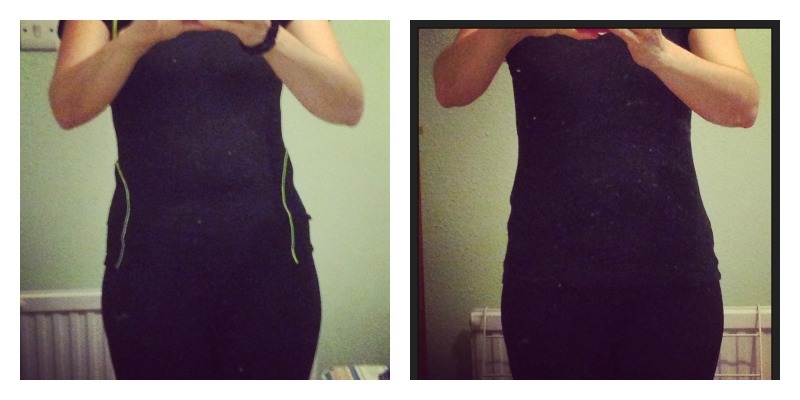 I don’t know if the difference is noticeable to anyone else, but I can see it and I’m satisfied. I haven’t lost any weight, but that makes sense because I have clearly gained muscle bulk, which is weird because I’m not used to seeing it. My arms look the most different I think. But I have lost an inch off my waist and an inch of my hips so I’m happy with that. Happy enough to continue shredding, so I have managed to fit it in again today. I’m planning to carry on through November but I’m going to have weekends off this time. Thanks to Lisa for starting me off and the whole #shredtober group for keeping me going – you are all amazing! This entry was posted in Health and tagged 30 day shred, shredtober on November 1, 2013 by Hannah. I blame that Hollybobbs lass, she started it. A couple of nights ago, I was lying in bed idly scrolling through my twitter timeline, when I saw her tweet asking if anyone wanted to join her in doing the 30 Day Shred in October. I have the DVD, I haven’t used it in ages and I’ve never done 30 consecutive days, so I said I’d have a go. As did about 70 other people, so it’s a bit hard to back out now. A couple of years ago I lost 3 and a half stone, but recently a little bit has crept back on (well, 11lbs to be precise) and the size 10 jeans are feeling a bit snug. I can’t afford to buy any more, so I need to lose a few pounds quickly. I’m hoping the shred will help – we’ll see. This is my before photograph. I’m okay with my shape though it’s a bit lumpy! But I wouldn’t be okay with being any bigger, so this is about reversing the trend. 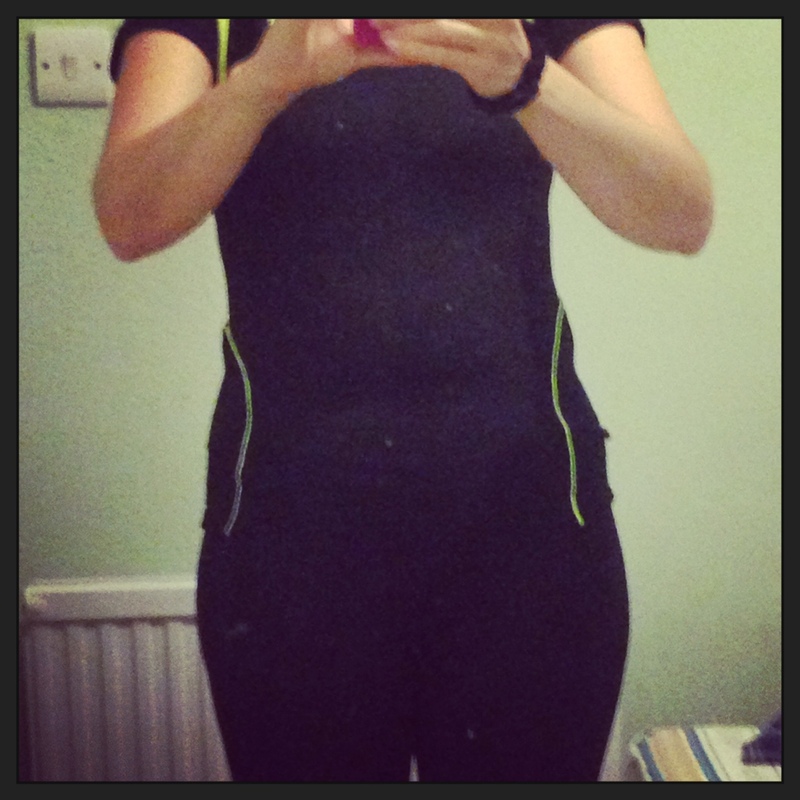 This entry was posted in Health and tagged 30 day shred, shredtober on October 1, 2013 by Hannah.